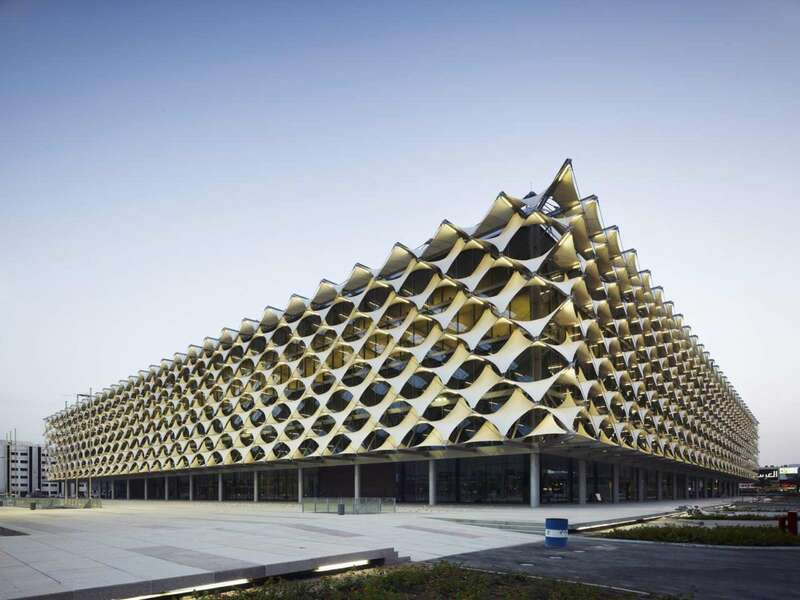 The King Fahad National Library, see the project previously published, is one of the most important cultural buildings in the Kingdom of Saudi Arabia, after five years of construction it was completed in November 2013. 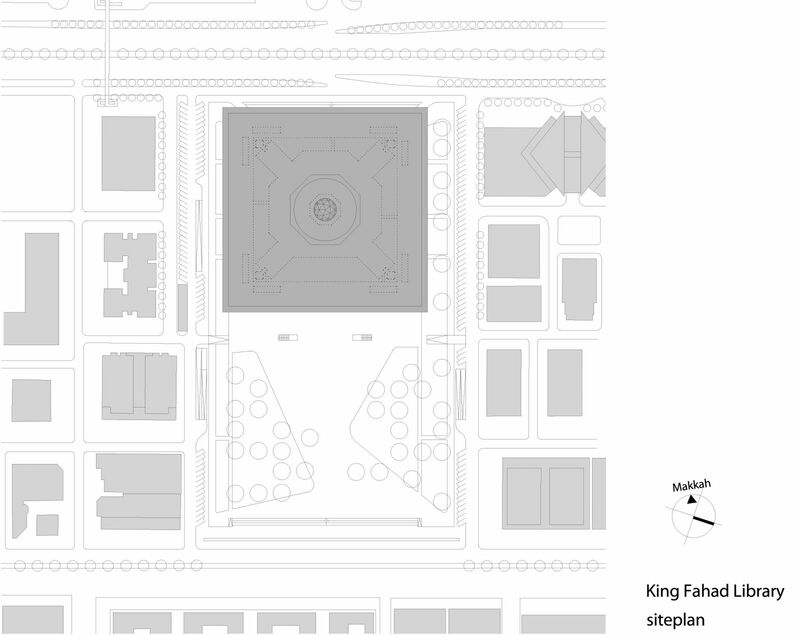 The King Fahad National Library represents the new centre of the rapidly changing Olaya District, and stands out clearly from the heterogeneous existing building pattern. The square new building in the centre of the urban park looks open and light, and is tied into the urban space despite its size. 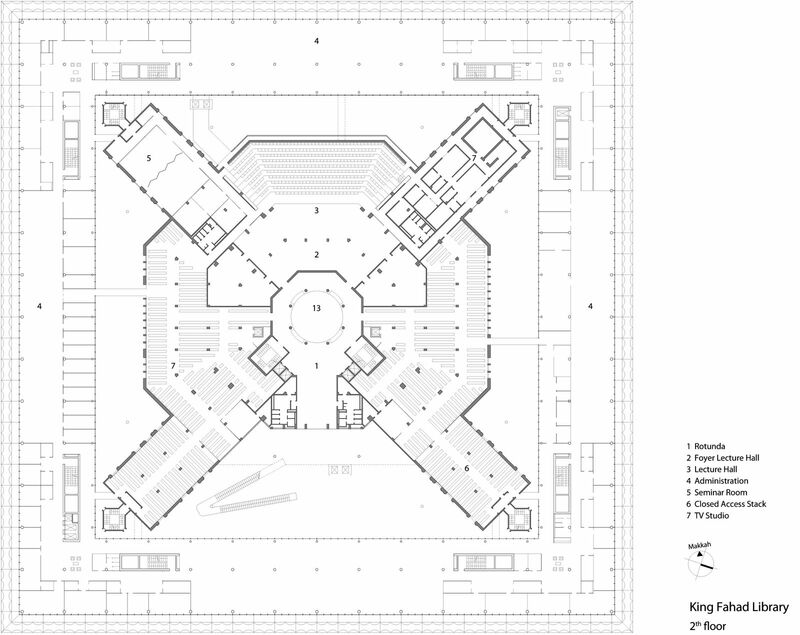 Gerber Architekten designed the existing park including parts of the available green space as a spacious square, and this and the library now form an urban unit. 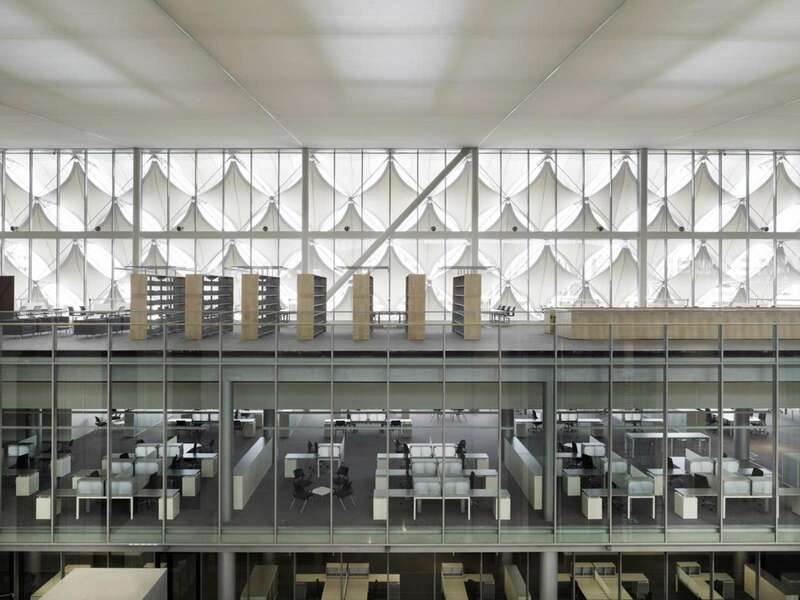 Thus the National Library becomes the iconographic centre of a prestigious urban quarter that will become increasingly important in future years. 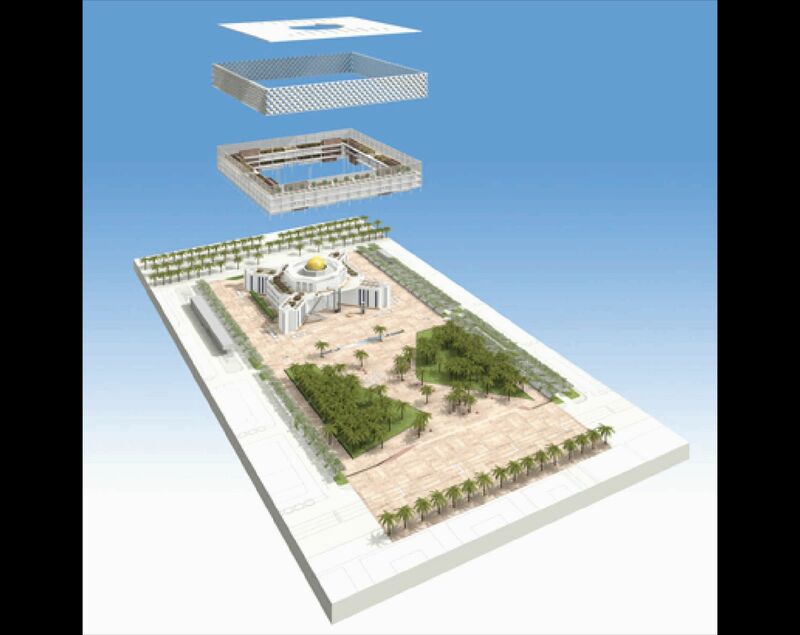 The site links King Fahd Road and Olaya Street, the two main traffic axes of the capital of the Kingdom of Saudi Arabia. 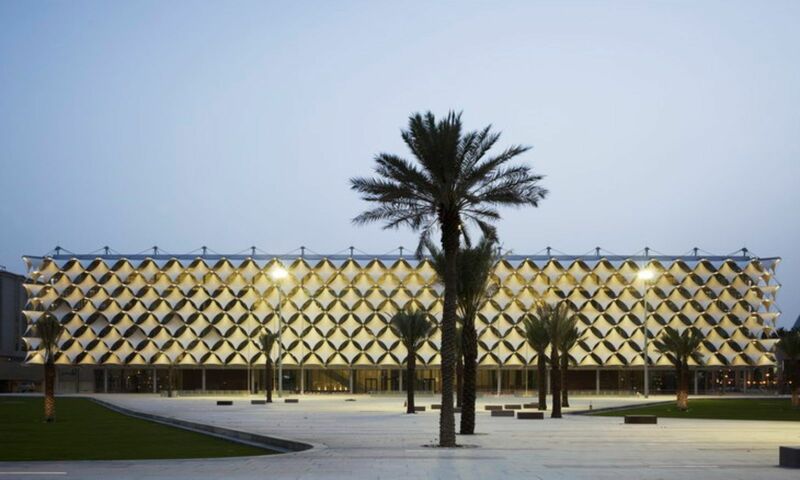 The new urban square described above was created on Olaya Street, offering pedestrians direct access to the library and guaranteeing an attractive space in which to spend time despite the heavy traffic. 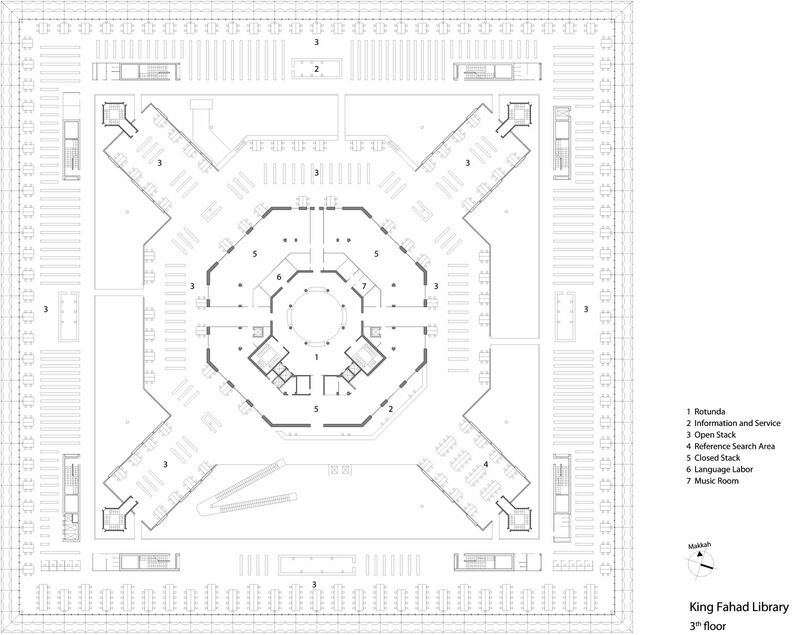 This new square echoes the surrounding basic structure of public squares, in which desolate and neglected building plots are redesigned as green oases. These are intended for various new leisure and recreational activities in the district. 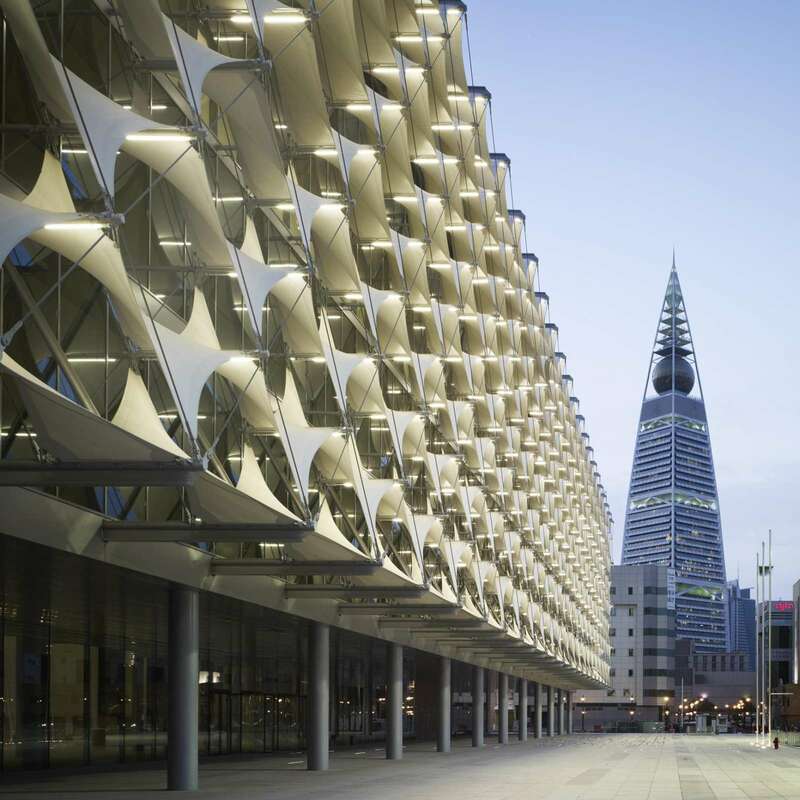 The new building encloses the old one protectively, and combines itself with it in an unusual way, following monument preservation principles. 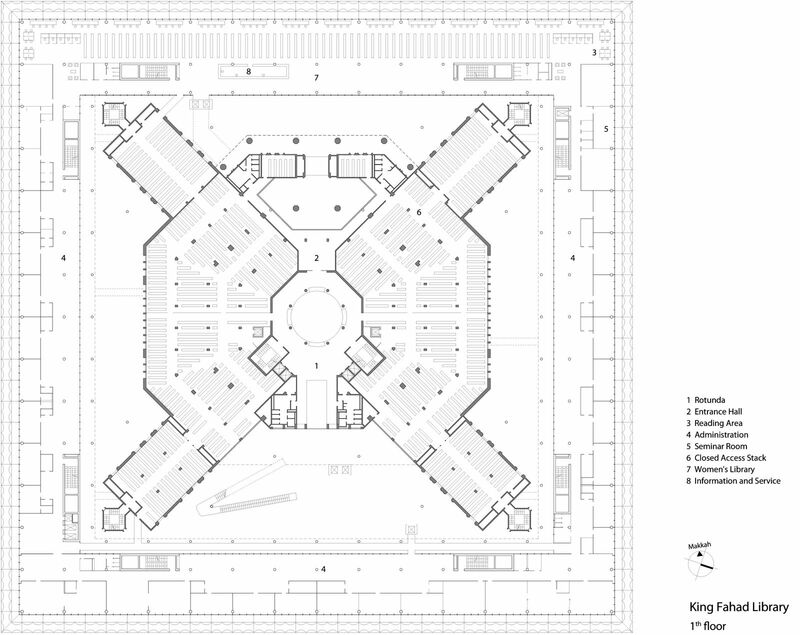 The cruciform existing building, topped by a dome, is concealed inside the new building. 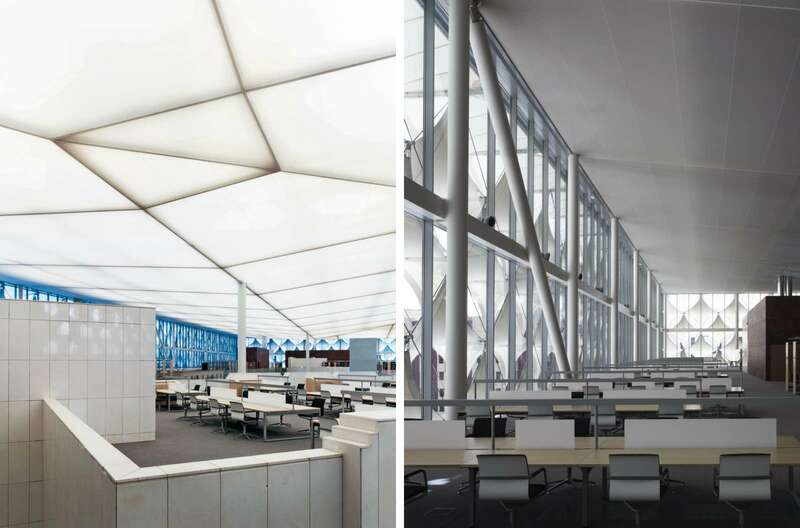 The old structure is integrated as a building within a building, while its existing dome – originally in concrete – has now been reconstructed in steel and glass, and continues to be a cultural symbol of the library. 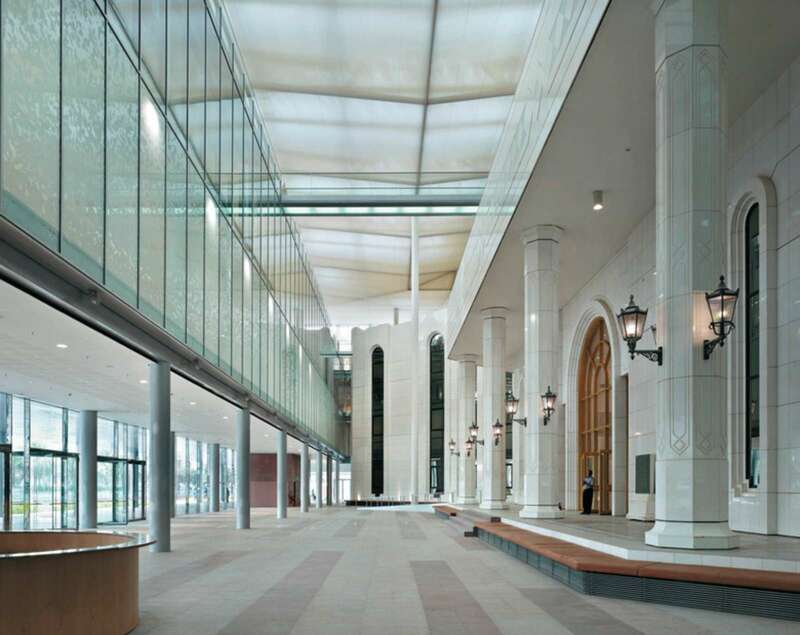 The entire former roof of the existing building, which occupies an extensive area, now provides a reading landscape flooded with light and offers a special atmosphere that will encourage the exchange of knowledge in this way. Inside – as if hidden in a treasure chest, a knowledge storehouse – are the book stacks. Visitors access the open-access sections on the third floor of the new building via bridges from the reading area. 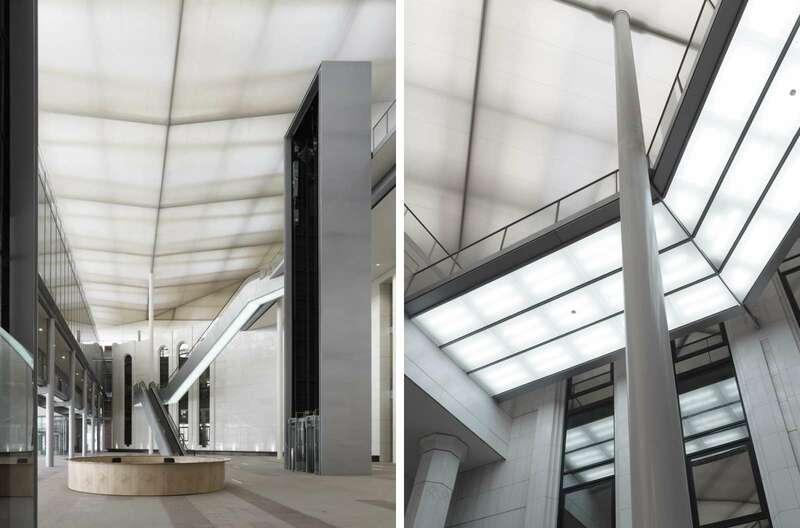 Everything is covered by a new roof, punctuated by skylights under which white membranes gently distribute the light throughout the entire interior. 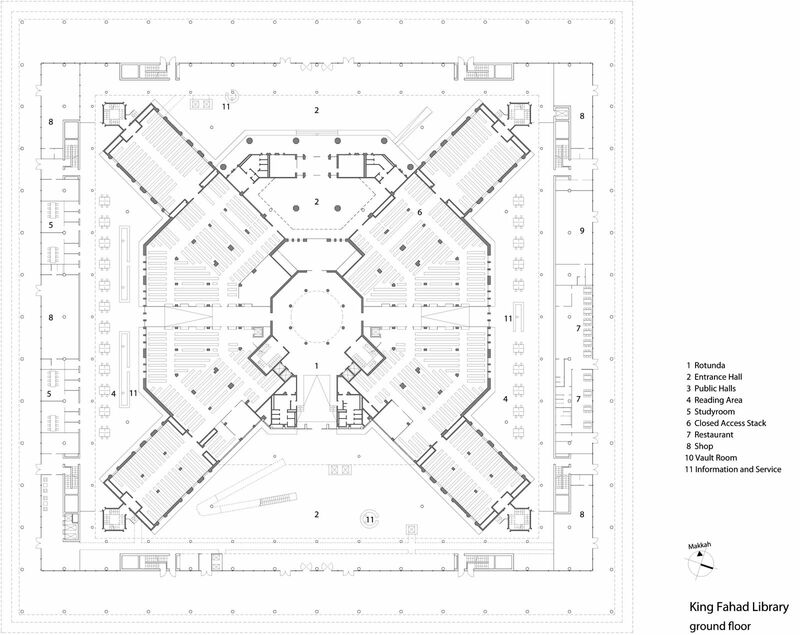 The main entrance hall is on the ground floor, which also houses exhibition areas, a restaurant and a bookshop. 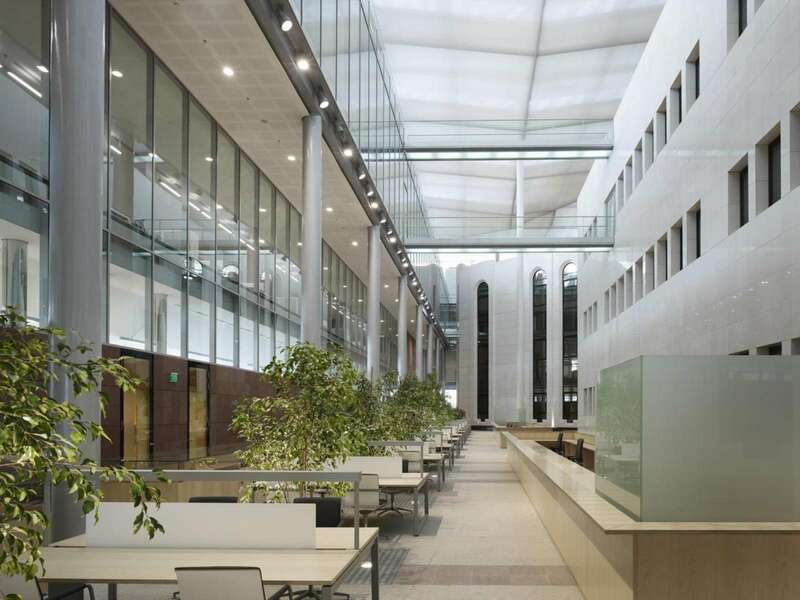 A library area for women only, in which they can spend time without a burka, is provided on the first floor of the new south wing; this space is separated from the other building uses, and is also accessed separately. 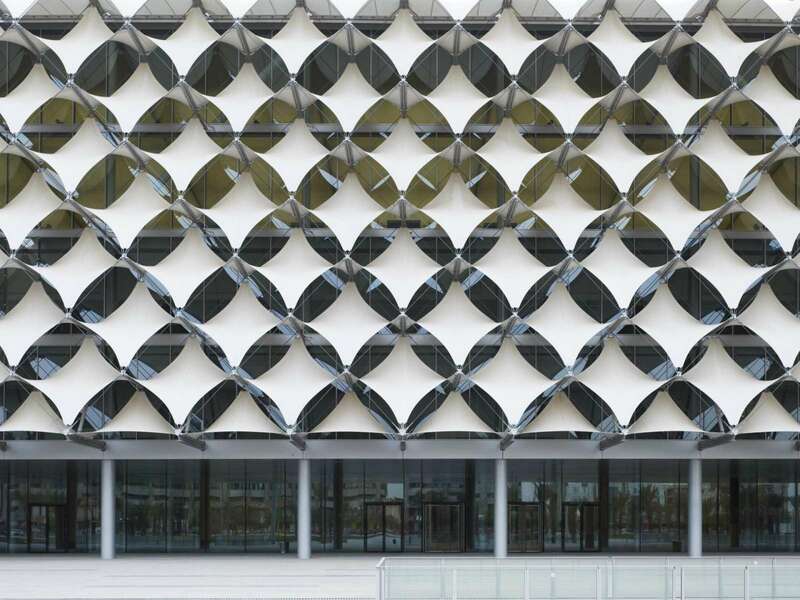 The key element of the façade was developed especially for the new building. 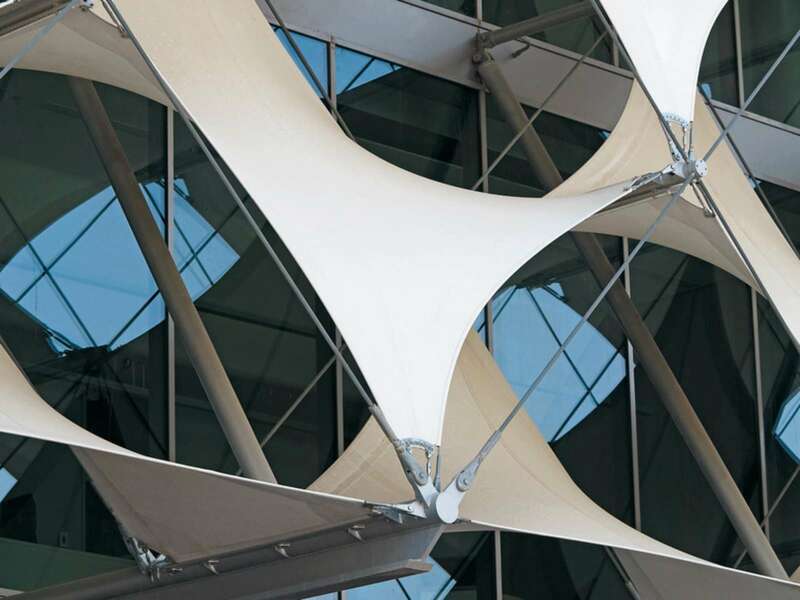 It is a cladding made up of rhomboid textile awnings, marked by its play with revealing and concealing. 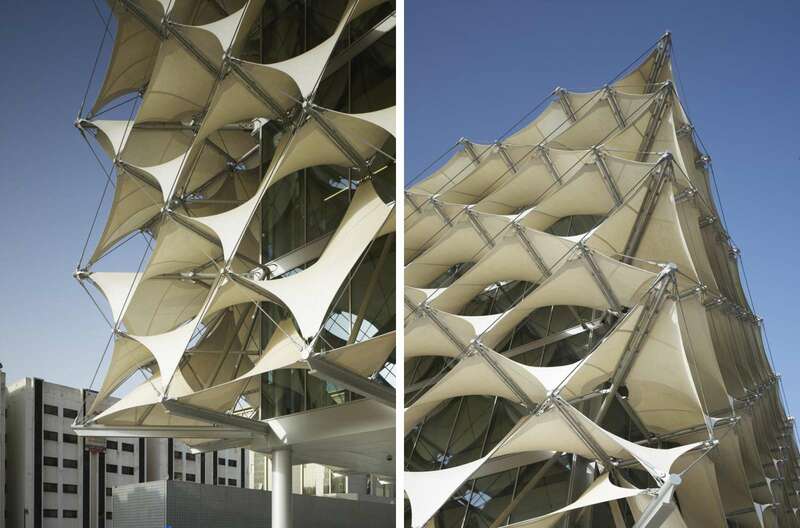 Inserted white membranes, supported by a three-dimensional, tensile-stressed steel cable structure, act as sunshades and interpret the Arabian tent structure tradition in a modern, technological way. This sequence of old and new creates a uniform and prestigious overall architectural appearance with characteristic styling. At night the façade glows with changing colours and becomes the city's cultural lighthouse. 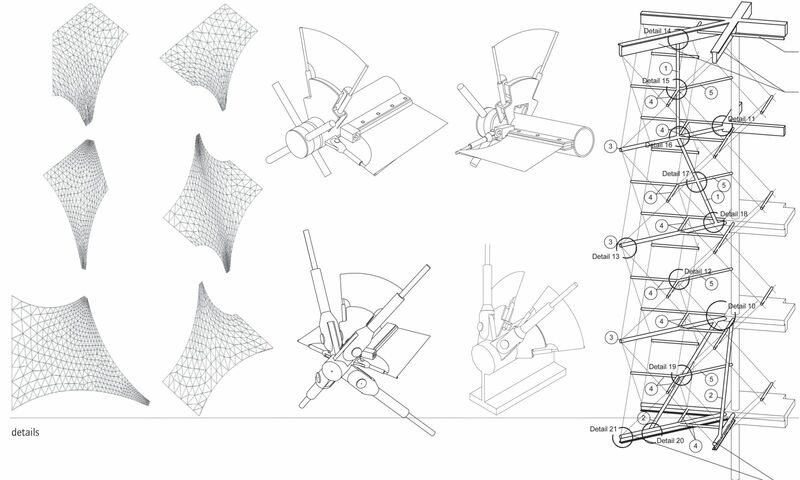 This filigree steel cable structure has a solar penetration level of only 7 per cent, and at the same time makes it possible to look both in and out. 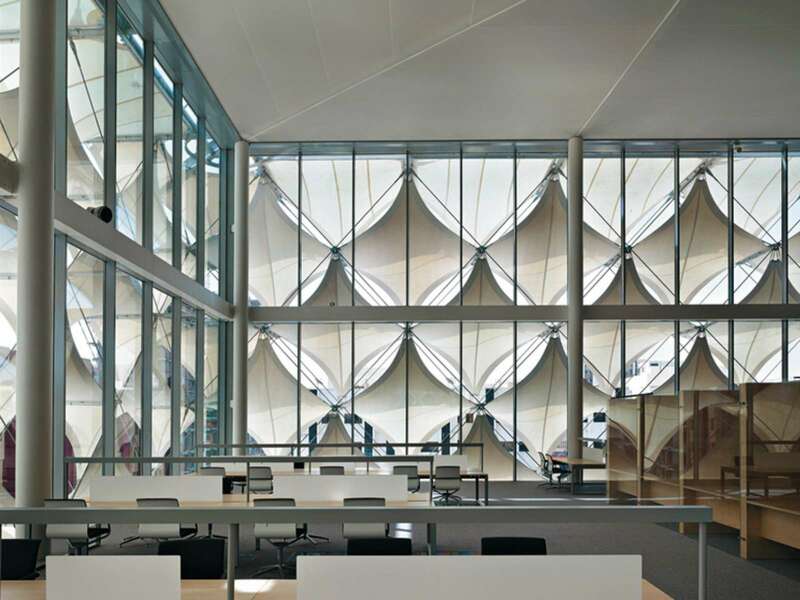 Given exterior temperatures of up to 50º Celsius, the membrane façade, which was optimised in relation to the local sun path by means of complex, three-dimensional light refraction, combines the required protection from the sun with maximum light penetration and transparency. 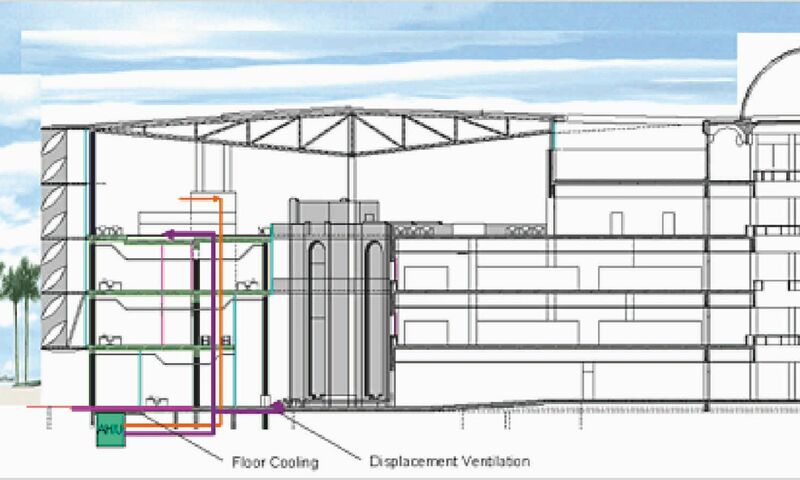 This façade was combined with ventilation and cooling for the building by means of layered ventilation and floor cooling. 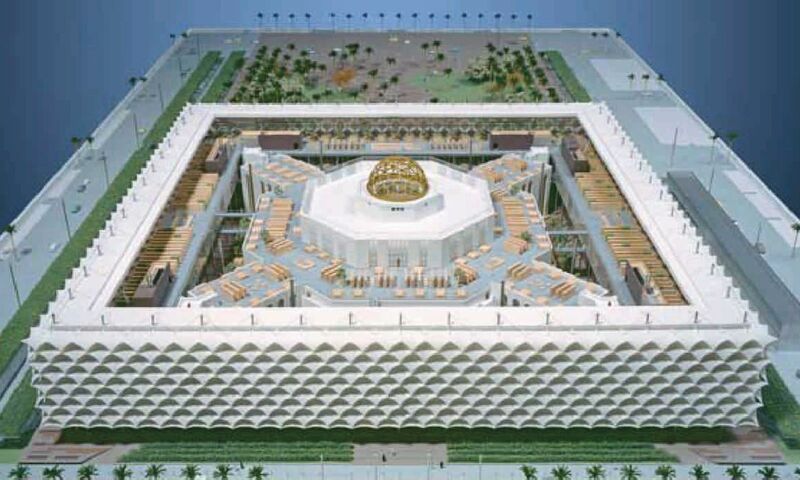 In this way, thermal comfort is increased and energy consumption significantly reduced by using certain methods and technologies for the first time in the Arab world. 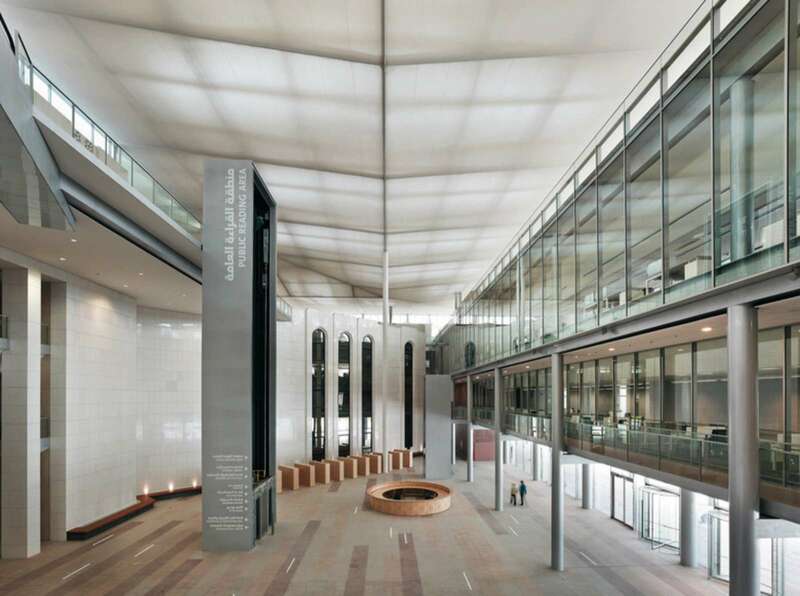 "The theme of sustainability using up-to-date energy concepts and rational building structures runs through all our activities as a crucial idea that is taken for granted" says Prof. Eckhard Gerber. Project Team: Tiran K. Driver, Nicola Gerber, Thomas Helms, Till Müller (LA) Kerstin Tulke, René Koblank, Olaf Ballerstedt, Nils Kummer, Britta Alker, Alexandra Kranert, Henrike Schlinke, Michael Schlegel, Ulrich Scheinhardt, Jörg Schoeneweiß, Beate Mack, Sabine Diegritz (LA), Stefan Lemke et al.